4k00:08Bud of red rose in gentle hands. Woman hands with red manicure gently caress red roses on white silk. Sincerity and sensuality concept. 4k00:08Manicured hand gently caress red roses. 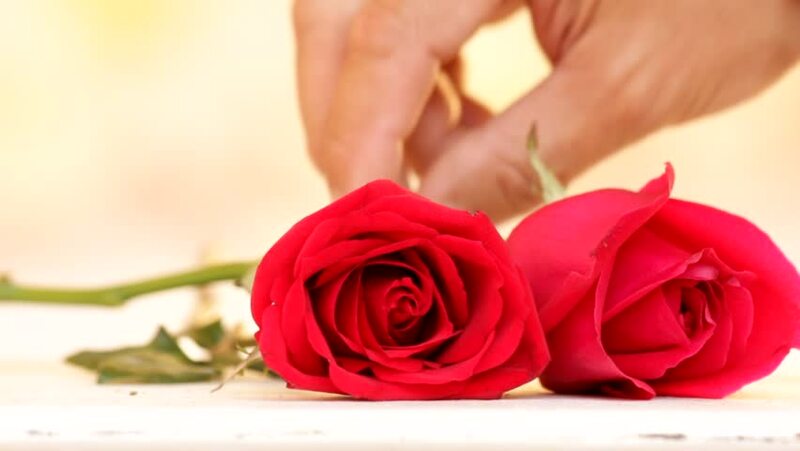 Young woman hands with fashion romantic design touching roses with tenderness and sensuality. Womanhood and temptation.